We manufacture chemical seals for our clients. We are leading manufacturer and supplier of Chemical Seals. Chemical Seals comes from Hi-Tech Industries. The company produces all types of pressure gauge accessories and process instrumentation valves and tube fittings. Ceramic is commonly used as a mating ring together with carbon-graphite opposite seal face in mechanical seal kits which in turn used in chemical pump applications. S. K. Engineering & Works Pvt. Ltd.
We manufacture Aluminium Chemical Seals which are used in Chemical & Bio-chemical Industry. We are the leading manufacturers and suppliers of Chemical Seal. They are applicable industrial plants, engineering, pharmaceuticals, food and beverage industries. They are made using quality material s and have accurate measuring ranges. Product Description:Our company offers a broad array of Chemical Seals that are used inprocess engineering and pharmaceutical industry. 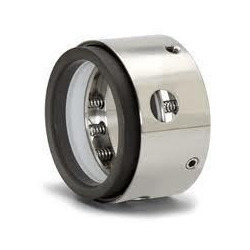 These seals are featured with rapid connection along with a front flush diaphragm. - Flanged, Hygienic and Threaded type diaphragm seals to be combined with pressure gauges, transmitters etc., to cope with the most difficult measuring tasks between .90°C to +400°C and from 50 mbar to 600 bar. 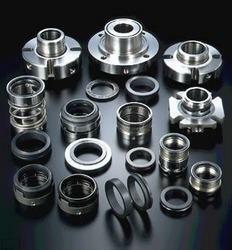 We manufacture Aluminium seals which are used in Chemical & Bio-chemical Industry.